The first trailer and poster have been released for 24x36: A Movie About Movie Posters, which will debut on the Tribeca Shortlist streaming service starting July 11. The trailer features a number of actual movie poster artists, along with director Joe Dante, who reveals that, when he was a kid, the movie posters that were hanging up in his local theater served as his first connection to these upcoming films, and that these posters would gauge how movie fans planned out the next few months of their lives. This trailer goes on to feature a number of the iconic illustrated posters that fans have come to love, and how this art form has largely died out over the years. This trailer debuted on the Tribeca Shortlist YouTube, and we also have the poster for this movie about movie posters. As one would expect, the poster features homages to several iconic posters of the past, including King Kong, Indiana Jones, Star Wars and others. Entertainment Weekly reported last year, before the movie had its world premiere at Fantastic Fest, that the poster was created through a collaboration of five poster artists, Sara Deck, Paul Ainsworth, Joshua Budich, Gary Pullin, and Matt Ryan Tobin, who serves as the the art director for the documentary. This engaging documentary explores the birth, death and recent resurrection of illustrated movie poster art. Through interviews with key art personalities from the past four decades, director Kevin Burke's film aims to answer the question: What happened to the illustrated movie poster, why did it disappear, and what's brought it back? In the mid 2000s, filling the void left behind by Hollywood's abandonment of illustrated movie posters, independent artists and galleries began selling limited edition, screenprinted posters, a movement that has quickly exploded into a booming industry with prints selling out online in seconds, inspiring Hollywood studios to take notice of illustration in movie posters once more. For those unfamiliar with the Tribeca Shortlist streaming service, it is a premium subscription video on demand service with a mission to bring discerning movie lovers a new streaming destination, powered by human curators, for discovering and enjoying great films. Tribeca Shortlist features a high-quality collection of handpicked films that are recommended by popular actors, directors, insiders and influencers who know and love movies. Every film on the streaming service is handpicked by industry experts and includes major studio release and independent studio gems, foreign film favorites and documentaries. The collection is constantly refreshed, with about a third of the movies changing each month. The subscription costs $4.99 per month, but fans can sign up for a free one-week trial. This upcoming documentary marks the directorial debut for Kevin Burke, who also serves as the producer, editor, cinematographer and digital effects artist. Aside from director Joe Dante, the documentary also features a number of talented poster artists such as Roger Kastel, Dave Alexander and Matthew Chojnacki, David Byrd and Matt Tobin, just to name a few, along with Hero Complex Art Gallery owner curator Adam Martin and Mike Orlando, owner of the Los Angeles poster shop Hollywood Canteen. 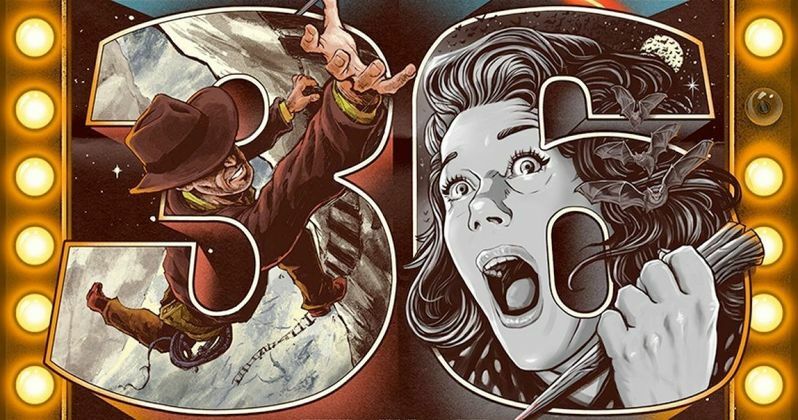 Take a look at this new trailer and poster for 24X36: A Movie About Movie Posters.